It’s well known that Intel missed the jump on tablet and phone processors. Intel sold off their PXA line of ARM processors to Marvell in 2006, in an attempt to ‘get back to the basics.’ It turned out that this sale perhaps was a bit premature, as the basics ended up being mobile, and mobile is where Intel struggled (by mobile we mean phones/tablets, not laptops, which Intel has no problems with). In January of 2011 Intel purchased the communications division of Infineon, gaining a line of application and baseband processors, based on ARM architecture of course. Intel developed this into the SoFIA applications processor, which was ironically fab’d by TSMC. 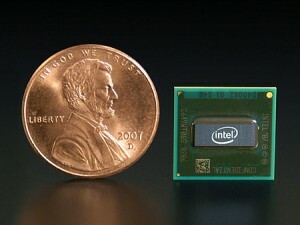 Eventually the designs would be ported to Intel 14nm process, or that was the plan. Intel Atom – Now by Rockchip? So this weeks announcement that Intel has signed an agreement with the Chinese company Rockchip, to cooperate on mobile applications processors is a bit of a surprise, but the details show that it makes sense. Rockchips current offerings are ARM based, much as Intel’s current SoFIA processor, as well as Apple Ax series, Qualcomm’s SnapDragon, TI’s OMAP, etc. However, the agreement with Rockchip is not about ARM, its about x86. For the first time in many years Intel has granted another company an x86 license, specifically, Intel will help ROckchip build a quad-core Atom based x86 processor with integrated 3G modem. Rockchip currently uses TSMC as their fab, however also with this agreement Rockchip gets access to Intel 22nm and 14nm fab capacity. 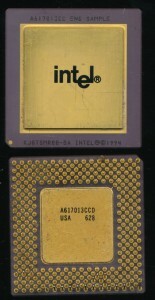 The Motorola MC6800 was Motorola’s first full 8-bit processor. Introduced in 1974 it was a very good processor, and at the time it did not have a lot of competition, mainly the Intel 8080 and 8008. 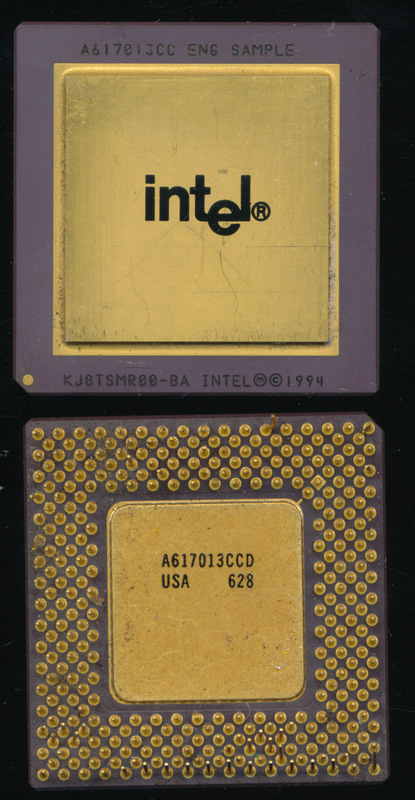 Within 2 years though it was competing against the 6502. the 1802, the Z80 and a host of other processors. This particular example was made in 1985 and is a MIL-STD-883 rated device for use in high reliability military applications. But the 1980s 8-bit designs were surpassed by 16 and 32-bit designs for most computer use, leaving the 8-bit MC6800 to largely be relegated to use in embedded application and microcontroller work. Motorola made several version of the 6800 specifically for use as MCUs, the 6802, the widely used 6805 (and its CMOS version the 68HC05) and the 68HC08. All of which are still in use today, 40 years after Motorola made the first 6800. The 6800 (and its derivatives also continue to be used as IP cores, read for dropping into ASIC/FPGA designs. Just this year Digital Core Designs added the 68HC08 to their library of available IP cores. Here is a very unusual Engineering Sample from Intel. These were manufactured in 1996 with a 1994 copyright date. They are slightly smaller then a Socket 5 Pentium and are a 325 pin SPGA package. Marked KJ8TSMR00-BA the best guess so far is a early P6 (Pentium Pro) core, without the L2 cache. If you have any ideas, feel free to post in the comments.